Its January 2018 and I, like most people, have a few goals and resolutions I’m working on. Personally, I have no issues with working out… I actually really enjoy it. My biggest setback would be nutrition. I have the palate of a 9-year-old and my food of choice would not be vegetables. However, I do LOVE how I feel when I am fueling my body properly and providing it with the nutrition it craves. That doesn’t mean I’m going to sit around and eat carrots all day but I will choose healthier options. 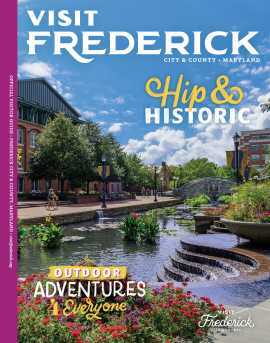 There are lots of great options if you are trying to eat smart here in Frederick, these are some of the best! 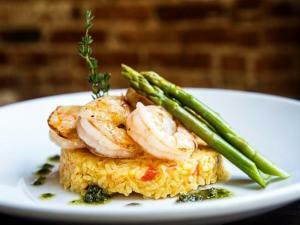 One of my favorite spots is The Wine Kitchen on beautiful Carroll Creek. It’s such a luxurious setting no matter what time of the year. 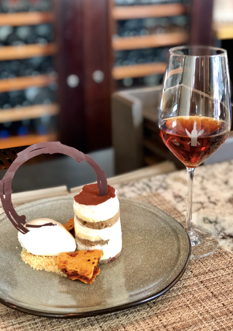 They have a saying that “It’s healthy to indulge!” and I love that! 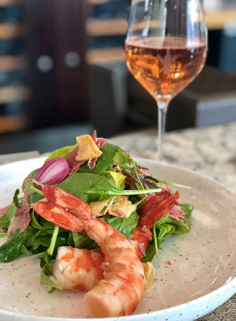 A favorite combo is their southern salad with pickled jumbo shrimp and thin-sliced country ham, followed up with tiramisu. 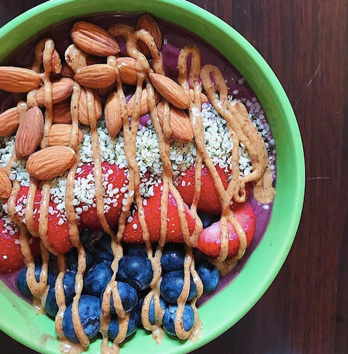 When I truly just want to go the healthy route, I wander down toward the north end of Market Street, head into the very quaint Hippy Chick Hummus, where Customers have the option to "Build-Their-Own" Acai bowl. The toppings range from rich and crunch granola, almond butter, blackberries to a variety of nuts or whole fruits. One of my post-workout favorites is the Hawaii Bowl - blended creamy acai puree with organic bananas and a tad of apple juice to add a burst of sweetness. 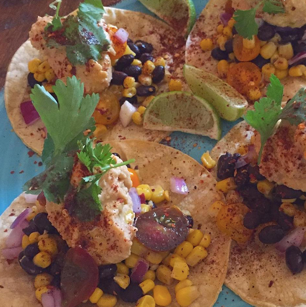 Another favorite of mine is their Market Street Tacos, which are definitely one of a kind - lightly crisp corn tortillas filled with black beans, corn, red onion, tomato, your choice of one flavor of hummus and sprinkled with chili powder and fresh cilantro. These tacos are satisfying, shareable and packed with lots of plant-based fiber and nutrients. 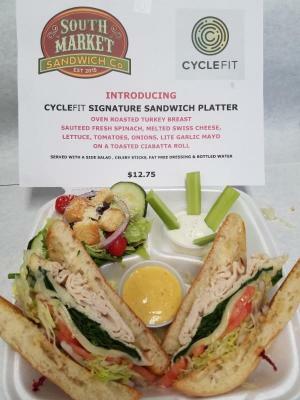 During the week, when I need a “power lunch” without the afternoon nap, I head down south on Market Street to South Market Sandwich Co. for the CycleFit Signature Sandwich! It’s a truly healthy option and even swaps out the chips for a side salad. Bubba is truly the king of sandwiches in Frederick! To round out my Downtown Frederick culinary journey I have to mention two more: JoJo’s TapHouse, where they have a Seafood Risotto that is beyond amazing, and Frederick Coffee Company, a tradition in Downtown Frederick which reminds everyone what a neighborhood coffee shop should be: A great cup of coffee, home-made biscottis (that’s right multiple flavors to choose from) and always running into someone friendly! I’m feeling strong and I’m feeling ready! So, what’s the first thing I&apos;m going to do? Get out the door! Getting out the front door and putting your thoughts of physical fitness into action is the HARDEST step to take. With that being said, you could choose to workout at home, outside, in a gym, wherever you feel comfortable but put on your shoes and get moving. My workout of choice …of course…is indoor cycling. 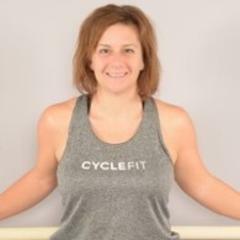 I have been a cycle instructor for years and have been a part of CycleFit Frederick for a little over a year now. It provides a great workout with little impact on my knees (which don’t seem to like me very much from time to time). It’s my get-a-way, it’s my place where I know I am accepted for who I am, imperfections and all. If I’m having a bad day I can leave it all on the bike! Before you walk into the doors you will see our mantra which is “Everyone is Battling Something”. We know that, we understand that, and we embrace that!